Economic single-use GDP conform temperature logger with automated PDF & CSV reports for smart logistics. tempmate.®-S1 temperature loggers were especially developed for monitoring temperature-sensitive products throughout the entire cold chain. We incorporate customer-specific settings directly ex-works so that each temperature logger is good to go out of the box. 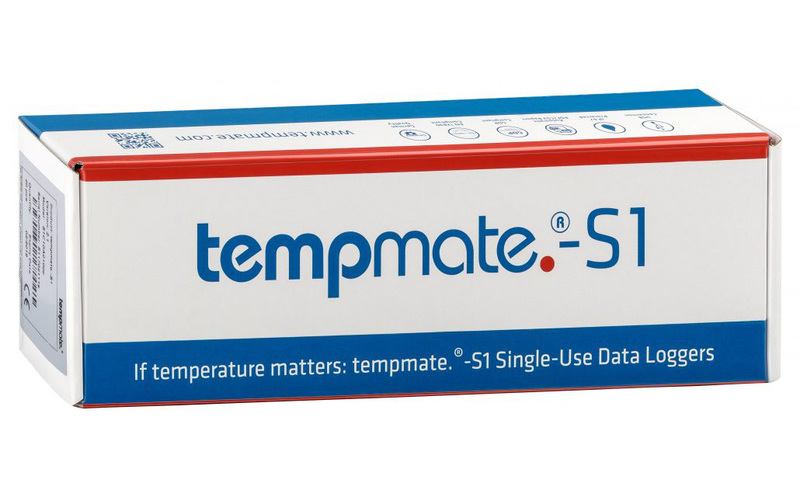 Digital sensors measure the temperature with high accuracy, together with long battery life and intuitive LED indication of the status makes our tempmate.®-S1 a worldwide standard in logistics and storage. Labeling per IATA´s dangerous goods regulations is not required for your tempmate.®-S1. Simply activate the temperature logger, drop it in the box and check the status via intuitive LEDs whilst handling the shipment during shipment or once the final destination has been reached. The automatically generated report indicates exactly if and when your set threshold has been breached. Can I change the battery of the tempmate.®-S1? No! The tempmate.®-S1 is a single use datalogger. Once stopped you cannot reuse the logger. Do I need the software to use the tempmate.®-S1? Why does the report shows in the temperatur field the keyword “USB”? This happen if you have start the logger and then plugged the logger into a computer. The report will shows the the keyword “USB” as long as it is plugged in the computer. 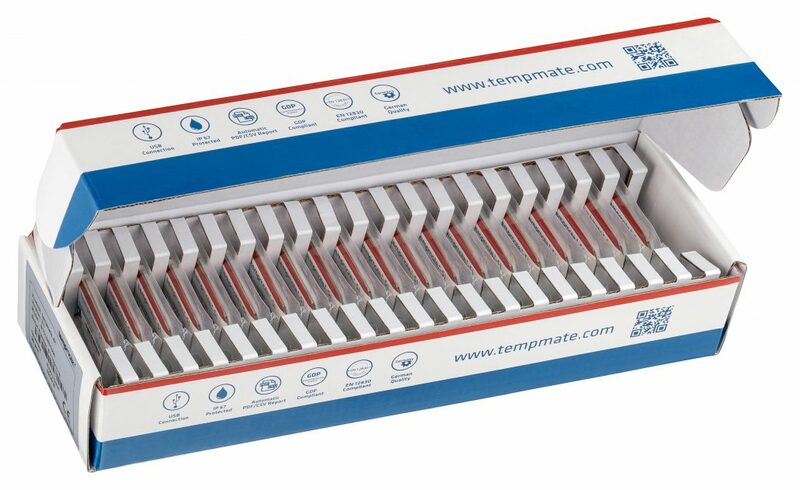 What is the difference between the tempmate.®-S1 and tempmate.®-M1? The tempmate.®-S1 is a singleuse datalogger whereas the tempmate.®-M1 is a multiuse datalogger. That mean once the tempmate.®-S1 is stopped you cannot restart the logger. But with the Mark function you can set a mark point and use the tempmate.®-S1 for multiple transport. 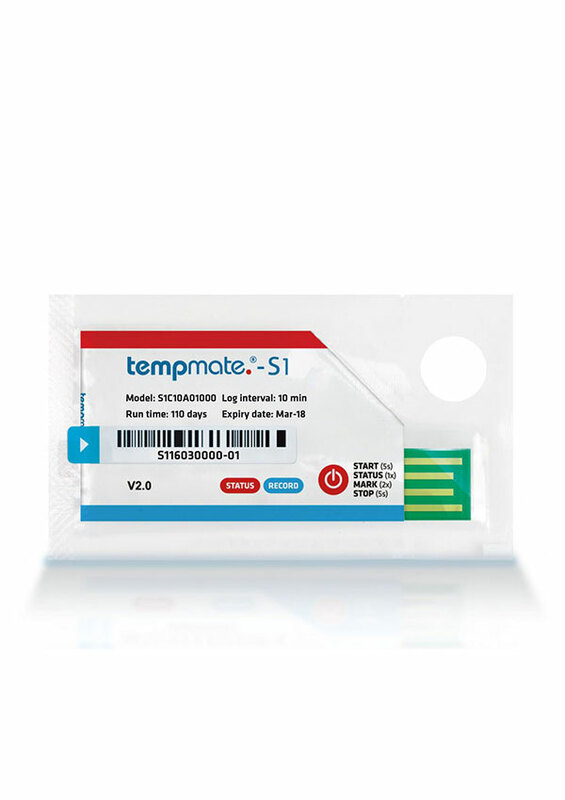 What is the difference between the tempmate.®-S1 and tempmate.®-i1? The tempmate.®-S1 is a datalogger whereas the tempmate.®-i1 is an indicator. That mean that the tempmate.-S1 do store the data for further analysis and to create the PDF or CSV Report. What time is shown for the analysis? The tempmate.®-S1 data loggers have an integrated real-time clock (RTC). This is set to GMT±0 before leaving the factory, and is therefore used for the tempmate.®-S1’s PDF analysis. The starting time is therefore documented with to-the-second accuracy, and the stop time always corresponds to the last measurement interval when it was stopped. Will the temperature also be monitored between the measurement intervals? The temperature will also be recorded between the measurement intervals, and in each case, an average value will be determined. In the event of a significant temperature fluctuation of ±2°C, this will be recorded accordingly. Is the PDF report protected against manipulation? Just as is the case with other electronic documents, it is possible to manipulate PDF files. However, even after the data has been analysed, the original data remains stored on the tempmate.®-S1 logger, so that it can always be downloaded again and compared to the questionable PDF report. Therefore, it is important that the loggers are saved until any such queries have been completely clarified. Why can’t I open the PDF report? What does the analysis look like in the PDF report? The temperature profile is presented as a graphic, and all individual measurement values are shown in table form. What’s more, additional statistical information (for example serial number) is also included. Is it possible to analyse tempmate.®-S1 loggers with software and to export the data? The tempmate.®-S1 is optionally compatible with the tempbase.®-D software. This software can manage all the measurement data and export it as a PDF or CSV file. The tempbase.®-D software is available as a free download, either here or in the software download box. Are the tempmate.®-S1 loggers validated? Yes, and with each delivery, you receive a validation certificate free of charge. What is the loggers’ service life/storage life? From leaving the factory, each logger with an ideal storage conditions (+15°C to +23°C / 45% to 75% rF) has a life of at least 1 year, maximum 24 months. The respective best before date is printed on the reverse of the logger and should always be kept in consideration. How accurate is the built-in real-time clock (RTC)? The real-time clock runs from when it was produced. Due to technical factors, there may be a deviation of ±2 minutes after 5 months/±4 minutes after 10 months. Are tempmate.®-S1 loggers IATA compatible, meaning they can be used in aeroplanes? Yes, to the latest IATA Guidelines, our tempmate.®-S1 Single-Use data loggers does not need to be declared.